Safe Direction has a brand new guardrail manufacturing line. Australian Owned, Australian Made, Australian Steel! Australian Owned, Australian Made, Australian Steel! 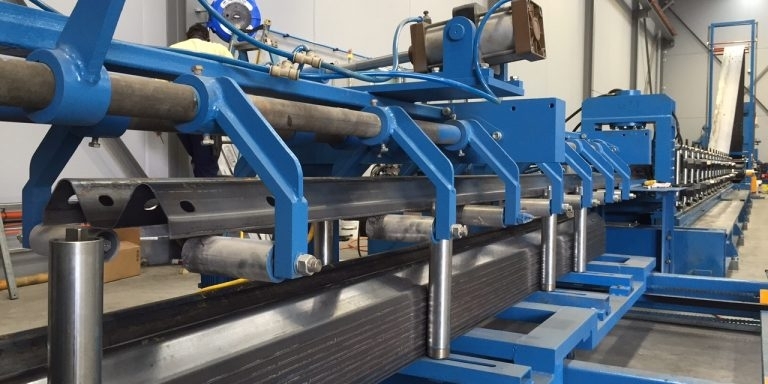 Safe Direction has commissioned its new guardrail manufacturing line at its Smeaton Grange/Sydney production facility. Safe Direction is the only Australian owned roll-form manufacturer of guardrail product. The operation is now in full production producing state specified guardrail product for all states as well as Safe Direction’s new proprietary RamShield guardrail system. PreviousPrevious post:RamShield Guardrail now QLD TMR approved!NextNext post:RamShield Guardrail now VicRoads approved!